If you're a new runner or training for your first 5K, you may be wondering, “What should I wear when running?” The good news is you really don't need a lot of fancy running gear or expensive clothing to be a successful runner. It’s a pretty low-maintenance sport—and there are plenty of money-saving tips for runners out there. But if you want your runs to be as comfortable and safe as possible (or you just really want to look the part), here are the most essential items to consider. All you need to get started as a runner is a good pair of running shoes that are the right fit for you. Wearing the wrong type of shoe is actually one of the most common causes of running injuries, so your old tennis shoes hiding in the back of the closet aren’t going to cut it. If it’s your first time shopping for running sneakers, grab a new, well-cushioned pair at a running specialty store where experts can evaluate your foot and running style and recommend the right shoes for you. The staff will measure your foot, watch you run on a treadmill, and analyze your gait. Here are our favorite cushioned running shoe picks for women and for men. When shopping for running shoes, don't pick a sneaker just because you like the brand, style, color, or price. You definitely don't need to buy the most expensive pair in the store, but investing in a good pair is a smart idea that will help prevent injuries and make for more comfortable runs. Quick Tip: Once you know the right running shoe for your style and gait, you can shop around for deals when it’s time for a replacement pair. It's a smart idea to avoid wearing 100 percent cotton socks as a runner. If you wear cotton socks, the moisture won't get wicked away if your feet sweat or you step in a puddle. Instead, wear running socks that are a synthetic blend to help prevent blisters. Look for materials such as polyester, acrylic, and CoolMax. For winter running, wool blends like SmartWool are a good choice. Some runners even choose to wear double-layer socks for additional blister protection. Cotton fabrics are at the top of the what not to wear while running list. That’s because once cotton fabric gets wet, it stays wet. For a little more money, wearing clothes made of a technical fabric with synthetic wicking material is a better choice. Look for DryFit, Thinsulate, Thermax, CoolMax, polypropylene, or silk options. During cold weather running, running in technical fabrics will help keep you dry and warm. On hot weather runs, they will wick the sweat away from your body and help prevent chafing. Technical fabrics also hold up a lot better through use and washing cycles than workout clothes made of cotton. Quick Tip: When you go for a run, be careful not to overdress. Once you warm up, your extra body heat will make it feel about 15 to 20 degrees warmer. For example, if the temperature is above 55 degrees outside, you'll probably be fine running in a T-shirt and shorts. Women should make sure they're wearing a good, supportive sports bra designed for running or other high-impact activities. Try it on and test it out by running in place and jumping up and down. Your sports bra should fit properly and not be too stretched out. If you have a large chest and have had trouble finding a comfortable, supportive sports bra in the past, try one of these top sports bras for large chests. Most sports bras need to be replaced after 72 washes, when the elasticity is lost, or if your weight changes significantly. There are a few additional items that aren’t necessarily essential but can make a big difference in the quality and safety of your runs if you bring them along for the ride. A running watch is great for timing your runs, staying on pace during races, and tracking your route using GPS. Even a simple watch with a stop and start button can be helpful to beginner runners so they can time their runs and use it to measure run/walk intervals. Some running watches can also track your heart rate, so find the right option for your needs. Keep your hands-free on the run by adding a running belt. There are plenty of sleek options for your ID, money, and keys, or roomier belts to hold larger items. Carrying your ID (or wearing an ID tag on your shoe) and having some extra cash on you is a good practice in outdoor running safety. 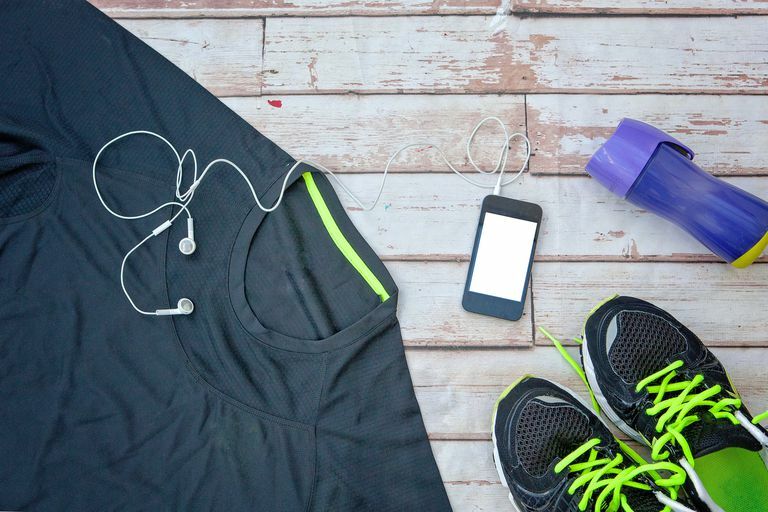 Not everyone chooses to run (or race) with their phone, but if you want to have it on you for emergencies, to listen to music, use a running app, or take pictures on the run, it’s not a bad idea to bring it along. You can certainly carry it in your hand, but you may also be interested in a belt, armband carrier, or other gear with pockets to help stash it while you’re on the move. Use a waterproof sunscreen that has an SPF of at least 30 and offers broad-spectrum protection, which means it protects against both UVA and UVB rays. Stick formulations are especially good for your face because the sunscreen won't run into your eyes. Add a visor or hat that will give your face extra protection. They also help absorb sweat, so the sunscreen doesn't run into your eyes. You’ll be especially glad you have a hat if you get caught running in the rain. Invest in a good pair of UV-blocking running sunglasses to protect your eyes from the sun's damaging rays. When running more than 30 minutes, it's important to consume water to stay hydrated. If you don't have access to water on your running routes, you may have to carry your own fluids with you. Here are some of our favorite running water bottles and carriers to use on the go. A general rule of thumb for fluid consumption during your runs is to drink 4 to 6 ounces of fluid every 20 minutes. This may sound like a lot of gear you need to buy before you can start running, but just focus on the basics first. That starts with a comfortable pair of sneakers that suits your specific needs and goals and a desire to get out there and hit the road.